Medical coding certification is the first step to becoming a medical coder and is required by most employers. Certification is usually obtained by sitting for an exam that tests your knowledge of a specific subject. Upon passing the examination you will be awarded a certificate that validates your knowledge. Each certification specifies the type of credential earned through testing. Who Should Medical Coding Certification Be Obtained From? 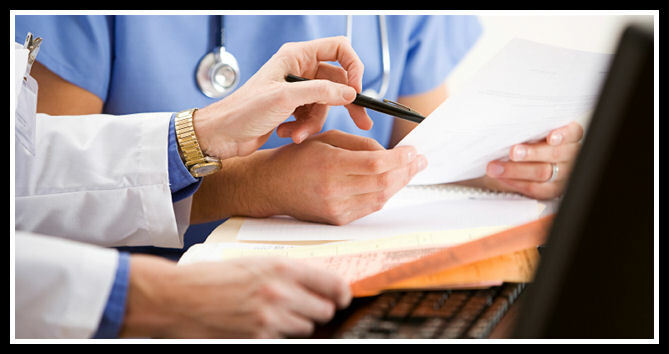 What is the Difference Between the Two Organizations that Offer Medical Coding Certification? What Credentials are Available Through These Two Organizations? How do I know Which Credential to Obtain My Medical Coding Certification in? What is the Difference Between All of the Credentials? 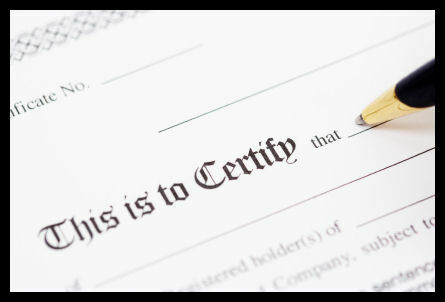 There are several organizations and well meaning schools out there who offer the opportunity to sit for "National Certification" after taking their course. What you must be knowledgeable of is that national certification and true medical coding certification are not always the same thing. Although you may have taken an extensive course, obtained the required knowledge, and passed the "certification" exam provided, you may be disappointed to find that your earned certification is not recognized by employers. Medical coding certification that is required by most employers and recognized globally is offered though two separate organizations. Both organizations are reputable, long standing, and commonly recognized in the medical community. 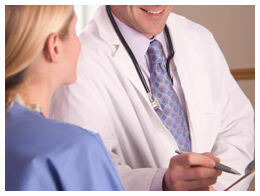 Both also offer extensive examinations that will award the examinee their medical coding certification upon passing. The American Academy of Professional Coders recognizes an individual as a Certified Professional Coder (CPC) once they are certified, this credential (CPC) will appear on your certificate. The American Health Information Management Association recognizes an individual as a Certified Coding Specialist (CCS) once they are certified, this credential (CCS) will appear on your certificate. Both the AAPC and AHIMA are very reputable and both are recognized equally among the medical community. Often employers and institutes require medical coding certification from either one or the other. The history of AHIMA is slightly longer, stretching back to 1928. They were first founded as the Association of Record Librarians of North America (ARLNA) by the American College of Surgeons for the purpose of more accurate record keeping. Through their history they have changed their name twice more and are currently known as AHIMA. From the beginning to the present their organization has been mainly focused around medical record keeping, clinical data, and health information. More recently when medical coding became more prominent AHIMA brought it into their organization, creating standards and medical coding certifications. In addition to medical coding certification they also offer credentials for RHIT and RHIA. Currently they are a globally recognized organization and their membership is 53,000 strong. The AAPC has a slightly shorter history starting out in 1988 when medical coding was fist becoming prevalent and a need for standardization was not being met. The AAPC has dedicated it's focus strictly on medical coding certification and continuing education alone. 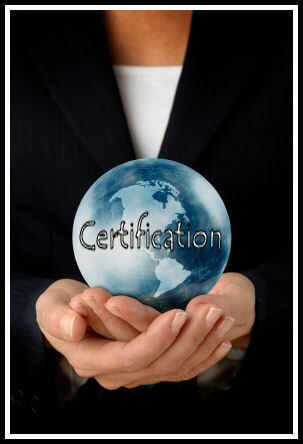 Their standards and certifications equal those of AHIMA and they are equally recognized on the global spectrum. Currently 62,000 of their 82,000 members hold a medical coding certification. Beginners should always aim to obtain their medical coding certification for either the Certified Professional Coding (CPC) credential from the AAPC or for the Certified Coding Specialist (CCS) credential through AHIMA. The CPC and the CCS tests examinees on an overall knowledge of all three medical coding books, as well as a general knowledge of gross anatomy , medical terminology , payment methodologies, and guidelines. Once you have learned how to accurately use each book in a general fashion you would then begin to focus on things like hospital or specialty credentials if you choose. As with most things, gaining a general understanding of how something works is usually required before you can fully understand the more intricate aspects such as specific guidelines that focus on a specialty. The CCA and the CPC-A are both apprenticeship credentials. The CCA is the Certified Coding Specialist credential that is awarded by AHIMA to apprentice coders , the CPC-A is the Certified Professional Coder credential that is awarded by the AAPC to apprentice coders. Both organizations require individuals to sit for an examination and upon passing they are granted medical coding certification as apprentices. The AAPC considers an individual an apprentice if they do not have two years or more of on the job coding experience. These individuals will sit for the same examination that is given for the CPC credential. Once a CPC-A has obtained two years of coding experience they can submit two letters of recommendation to the AAPC and they will then automatically be granted the CPC coding credential. AHIMA views an apprentice as an individual who has no on the job coding experience and has only a basic knowledge of medical coding. Individuals sitting for the CCA will be given an examination that differs from the one given to CCS examinees. Upon passing the exam the credential CCA will be awarded to the examinee. Once a CCA holder has obtained two to three years of on the job coding experience (as recommended by AHIMA) they can then apply to sit for the CCS examination. Upon sitting for and passing the CCS exam the CCA will be awarded the CCS coding credential. The CPC and the CCS are the two most recognized and sought after coding credentials in the industry. Often employers will request that an individual have one or the other. The main difference between the CCS and CPC is their focus. Although both credentials are industry standards each credentials type has a slightly different focus. The Certified Professional Coder credential offered through the AAPC mainly focuses on "professional" coding and guidelines. Professional coding is the type of medical coding that is performed in physician offices and out patient settings (ex. Emergency rooms). The Certified Coding Specialist credential offered through AHIMA focuses more on facility coding. 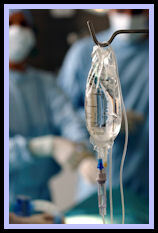 Facility coding is the type of medical coding that is performed for hospitals in in-patient settings. If an individual is interested more in professional coding or outpatient coding they should focus their attention on obtaining their medical coding certification as a CPC through the AAPC. If an individual is interested more in facility and in-patient coding then they would want to focus their attention on obtaining their medical coding certification as a CCS through AHIM. 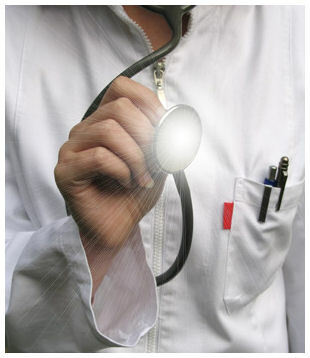 The Certified Professional Coder - Hospital (CPC-H) is offered through the AAPC. This credential focuses mainly on facility coding in an out-patient setting. The Certified Coding Specialist - Professional (CCS-P)is offered by AHIMA. This credential is similar to the AAPC's CPC credential but is less recognized among employers in the professional coding industry. The CIRCC credentials stands for Certified Interventional Radiology Cardiovascular Coder. This is a unique credential made specifically for individuals who strictly code cardiac catheterization with radiological assistance. This is a niche field that has an overwhelming demand for individuals who can provide expertise. This particular specialty also requires an extensive knowledge of the many coding guidelines attached to these codes, knowledge of vessel families, orders, and demands accuracy. Although it is a more difficult specialty to master it is also among the top five percent in salary earnings. The CPC-I credential stands for Certified Professional Coder, Instructor. This credential requires that individuals currently hold both the CPC and CPC-H credentials, have a minimum of five years coding experience, and at least two letters of recommendation from a teaching institute. Upon meeting the pre- requisites an individual can apply to go through the five week course and sit for the CPC-I examination. This credential is designed for individuals who are considered experts in the medical coding field and who wish to teach, conduct seminars, offer CEUs, consult, and educate. The purpose of the CPC-I is to identify credible individuals who are armed with accurate information and to discourage individuals from seeking a coding education from others without the CPC-I credential. The remaining credentials are "specialty credentials" offered through the AAPC. There are nineteen different specialty credentials in all, which were created to validate an individual's expertise in a specific medical specialty. These credentials are still quite new and are gaining recognition. Although they are not usually required to work in a specialty office they are a great compliment to existing credentials and offer a competitive edge. Individuals who are interested in becoming entrepreneurs and starting a medical billing or coding company may want to consider medical coding certification in a specialty credential. Although you can have a successful business with several specialties it is common for a specialty practice to outsource with a billing or coding company who specializes in their specific field of expertise. These credentials are also something to keep in mind for the future. Although there has been no movement in this direction currently, some individuals would like to see the general credentials like the CPC and CCS dissolve and instead require individuals to obtain specialty credentials for each type of specialty they code for. **Other credentials offered through the AAPC and AHIMA, like the CPC-P, CHDA, CHPS, RHIA, and RHIT are medical billing certifications. 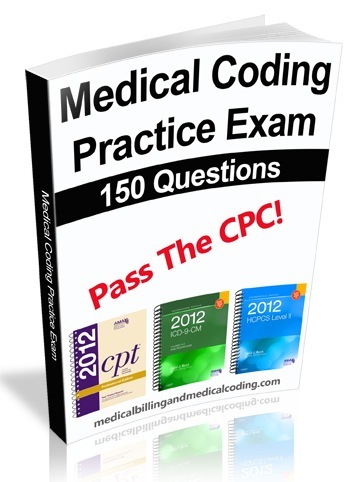 Our 150 question CPC practice exam is now available! The CPC and CCS are the two most sought after credentials by employers. They are also the building blocks of all other credential types. Example: In order to obtain a CPC-I credential you must already hold both a CPC and a CPC-H credential and have five years of experience. Although not all other credential types require that you hold a CPC or CCS first it is strongly recommended. Don't wait until you are certified to start searching for a job. Scan the local classifieds regularly to get a good idea of what positions and salary ranges are being offered in your area. Start attending the local AAPC chapter in your area as well. You do not have to be certifed in order to attend and it is a great place to hear about unlisted positions, pass out resumes, and network with other coders. Medical coding training should be taught by a certified coder, such as a CPC, CCS, or CPC-I. Networking is an essential tool in the medical coding community. Most coders have one area of expertise. By mastering a specific specialty you can spend less time focusing on other areas and let the experts in those fields assist you when needed. Networking is also a great way to find and post jobs, find career advancment opportunities, and learn skills to enhance your coding.